If a question has thrown you for a loop, ask the interviewer for a moment to think about it. The interviewer is fully aware he/she asked a unique question, so he/she probably expects that you need to think. Remember, it’s better to give yourself time to think than to stammer and stumble through a response. Oftentimes, oddball interview questions are meant to determine cultural fit. Meaning, your interviewer wants to get a sense of your personality and how you would fit into the team’s culture. If you’re not a good sport and give up answering the question, it won’t bode well for your fit. However, if you play along and let your personality shine, you will accomplish what you need to do. It’s not a matter of being right or wrong. If your interviewer is asking a weird question, he/she probably wants to hear how you are on your feet and think outside the box. Get creative, and answer the best way you can! 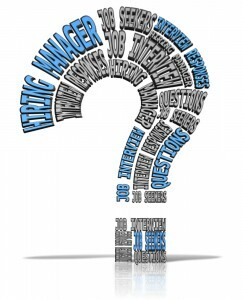 Oddball questions should not derail your interview. Remember this advice so you are ready for anything an interviewer may ask! Have you been asked an odd interview question? Please share your experience in the comments! This entry was posted in Job Seekers and tagged interview questions, interview tips, Job Interviews, oddball interview questions. Bookmark the permalink.